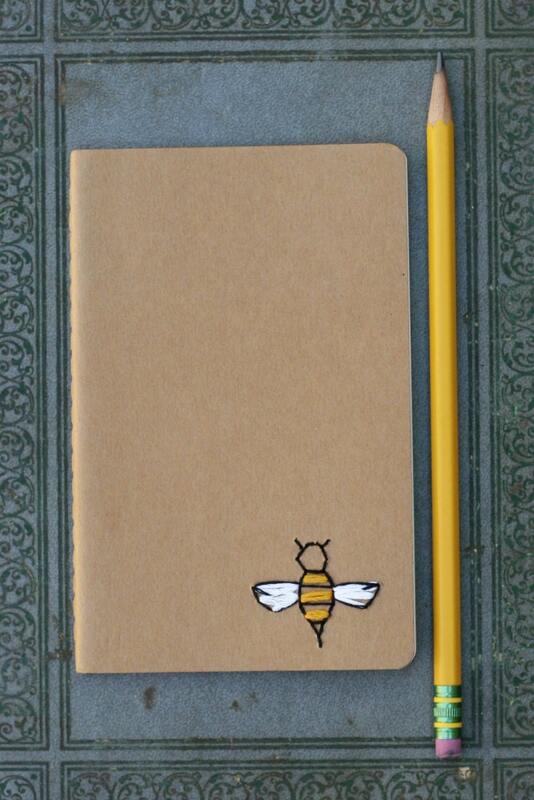 This bee is all abuzz this lined pocket notebook, hand embroidered in white, mustard yellow and black. 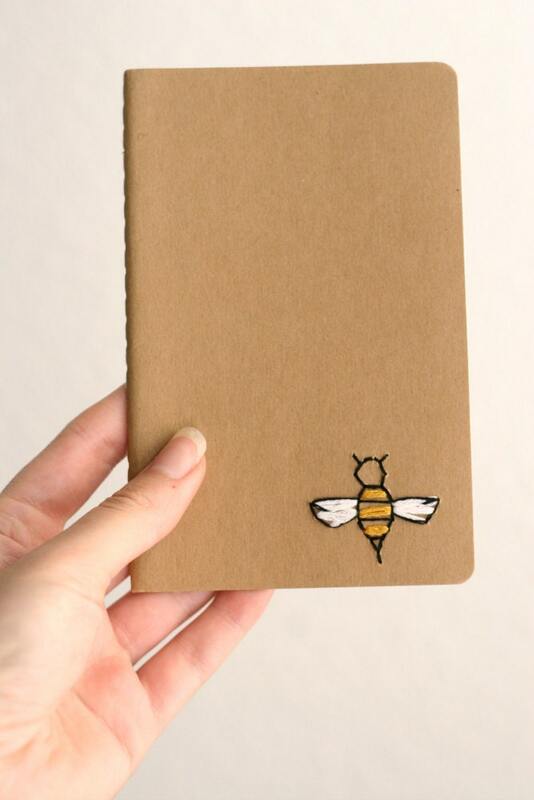 Staying organized just became a bit more fun with this hand embroidered notebook. 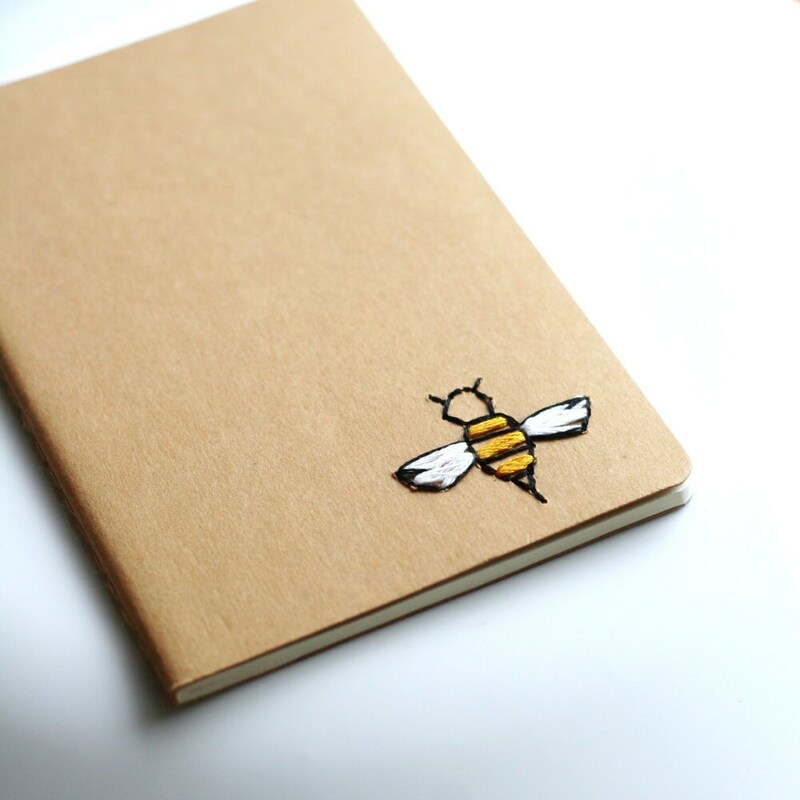 A perfect size to fit in your bag, ready to be filled with your sketches and lists.